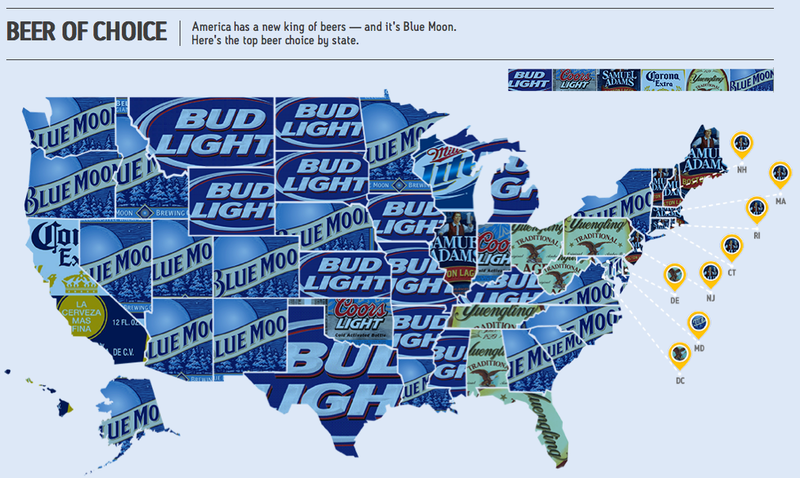 Business Insider links to this blog with a chart depicting the top beer brands by state. I like the quilt-like appearance brought on by using the packaging of different brands. The nine glowing yellow islands sitting in the Atlantic Ocean I find annoying. 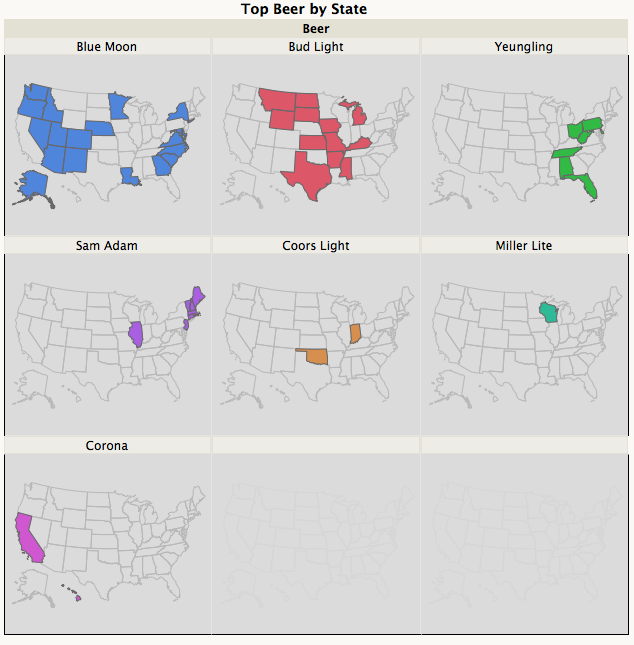 This happens a lot because those New England states are smaller in area than most. The design problem evaporates if you choose a small multiples approach. A small multiple (sometimes called trellis chart, lattice chart, grid chart, or panel chart) is a series or grid of small similar graphics or charts, allowing them to be easily compared. The term was popularized by Edward Tufte. As shown below, there is the added benefit that the regional pattern of brand preference is clearly visible whereas in the original chart, it is rather hard to figure out.